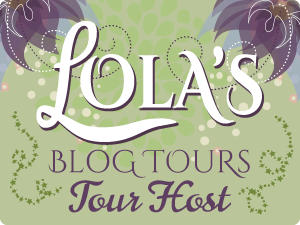 Today is my stop during the blog tour for Off the Ice (Juniper Falls #1) by Julie Cross! You can find the tour schedule for the tour here. I read Chasing Truth by Julie Cross a few months back and absolutely adored it so I was super excited to get my hands on this book, especially because I love me some hockey romance. While I did enjoy this book, and I’m definitely invested in this series, I have to admit to being a bit disappointed with certain aspects of it. Tate’s sister is besties with Claire O’Connor – the local publican’s daughter. They live in a small town where everyone knows everyone’s business. Claire is a talented musician and actress and she has moved away to college when we first meet her. Fast forward and she’s back in town to help mind her very sick dad and to help run the family business. Tate has broken up with his girlfriend, has just landed a coveted place on the hockey team and he appears to be going places, but he’s hiding some pretty shocking secrets and almost buckling under the pressure. Both Tate and Claire were complex characters who were wonderfully developed. I felt every emotion as if I was living and breathing it myself. It was gritty and raw and downright painful at times. Julie deals with some difficult subject matter in this book but she deals with it extremely well. It isn’t dramatized or glossed over and it’s handled realistically and sensitively. We have a horrid example of a parent in Tate’s dad but that scenario is beautifully contrasted with Tate’s stepfather Roger and Claire’s parents, who were both fantastic and it was clear they loved their daughter so much and only wanted the best for her. I adored the hockey aspect and it was the perfect balance for me – enough detail without pulling me out of the story. All the side characters were very well developed and I love Jamie and Leo in particular and I sincerely hope they are getting their own books as I really want to read them. The romance is angsty and there is lots of toing and froing but I have to say, it got way too frustrating, and it takes a lot for me to say that because usually, I love that type of romance but I felt it was taken to extremes here. All they did was constantly shut each other out (especially Claire) and I wanted to throttle both of them. However, the main reason this is a lower-star rating is because it was so slow in the first half – the plot was not moving forward and I was struggling to maintain interest. My personal view is you could cut about twenty-five per cent out of the first half (’cause it’s a decent length as it stands) and not lose anything. I felt like giving up on several occasions but I hate doing that so I persevered. I’m really glad I did because the second half was superb and everything I was expecting and hadn’t seen in the first half of the book. The writing is excellent and I certainly can’t fault the characterization. My issues were with plot development and pacing, in the main. By the end though, I was definitely hooked and I totally want to continue with this series. I’ll be anxiously awaiting Leo, Jamie, and Jake’s books. 1st half rating – 2.5 stars. 2nd half rating – 5 stars. Overall actual rating = 3.75 stars. Thanks to Entangled Teen for providing an ARC of this book which I have voluntarily reviewed. All opinions expressed are entirely my own.